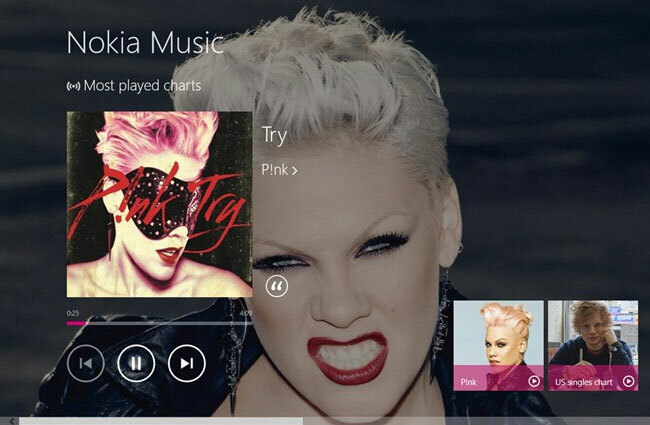 Today Nokia has launched a new Nokia Music application for Microsoft’s latest Windows 8 operating system and Windows RT devices. Allowing Nokia Music subscribers to enjoy music from the latest Windows 8 tablets and laptops, with hundres of titles to choose from Pop to Dub, Blues legends, Ragga, Indietronica, and loads more. The new Nokia Music app for Windows 8 and Windows RT also allows you to enjoy offline music plackback, even when an Internet connection is not available. A native Windows 8 feature, within the Nokia Music app allows you to view one app in a mini view whilst accessing another app at the same time. “Got a collection of your own tunes? We’ve got you covered. Play and queue your own music and we’ll give you all the same great discovery and rich artist information. If you already have a Nokia Music+ subscription on your Nokia phone, just sign in to get all the great features from your phone directly on your computer.